TROY, AL (Oct 19, 2017)—KW Plastics confirms the receipt of a no objection letter (LNO) from the U.S. Food and Drug Administration’s Center of Food Safety and Applied Nutrition for KWR101-150, a natural postconsumer high density polyethylene resin. The FDA letter confirms the resin is cleared for Conditions of Use E-G for levels up to 100% content. This additional clearance is in addition to its previous conformance to REACH/SVHC, CONEG, and UL 94HB. 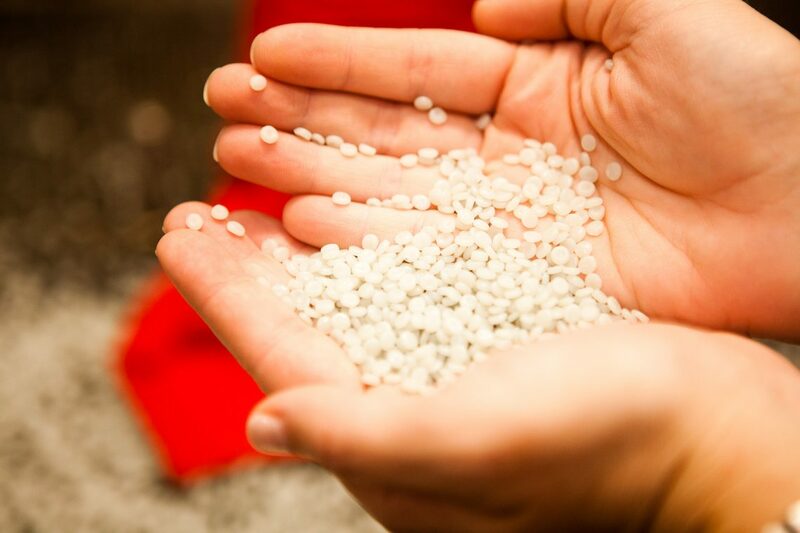 While KW Plastics has produced HDPE Natural blow made-grade resins for over 25 years, this expanded clearance will offer the additional benefit of a food contact safe resin, while offering economic and resource management savings. “With KWR101-150, our processors will only have to inventory one natural HDPE PCR for both their FDA and non-FDA compliant applications. Thus, our customers can expect a reduction in resin inventory costs, storage and logistics requirements. KW will not be charging a premium for this FDA compliant material,” Morales said. The application and testing process was approximately a 2 ½ year pursuit that KW executives believe will add value and volume to the postconsumer resin supply chain. “KW invested the research and development towards this resin so that we can better serve our customers and meet their demand for more sensitive applications such as Personal Care items that require FDA resin. We can now offer a PP and natural HDPE resin in our FDA portfolio,” Scott Saunders, General Manager for KW Plastics Recycling Division, said. While KW has received a total of three (3) LNOs for its postconsumer resins, this is the first LNO for HDPE. Two prior FDA letters of non-objection have been received for KW’s PP PCR resin family, consisting of KWR621FDA, KWR621-20FDA, and other grades to be commercialized. “Achieving our third FDA LNO within 4 years confirms that KW Plastics is a true leader in not only the plastics recycling industry, but the resin supply industry as well,” Saunders said. Current volumes of the natural HDPE postconsumer resin are estimated at 100 million lbs. annually, with additional capacity. Shipments of KWR101-150 will commence immediately. A copy of the FDA LNOs and technical data sheets can be found online at kwplastics.com. KW Plastics, headquartered in Troy, Alabama, is the world’s largest plastics recycler of high density polyethylene and polypropylene. KW’s innovation and investment in technology and equipment validate the company as the international leader in post-consumer resins. KW Plastics is an ISO:9001-2008 registered facility with ISO-IEC 17025:2005 accredited lab. KW Plastics Recycling Division recycles post-consumer HDPE and PP and supplies premium post-consumer resins to automotive, beauty & personal care packaging, pipe, paint & coatings packaging, agriculture, packaging and sheet industries.